We explore three very different breweries on this tour while we journey to an area we dubbed, the Brewery Triangle. We begin at Smokehouse Brewing in Grandview, a venerable institution of the Columbus craft beer scene with history that ties into the beginning of the craft beer movement in America. Here we sample award winning craft beers, sample signature appetizers and get an education on craft beer basics from owner Lenny Kolada or another craft beer expert. We then head into the pioneering point of the Brewery Triangle, Sideswipe Brewing, part of the “third wave” of craft brewers to call Columbus home in recent years, Starting as a nano brewery in an off the beaten path location, people are now beating a path to a microbrewery that has quickly tripled in size and quadrupled in production. At Sideswipe we cover nano vs. microbrewing and offer a guided tasting of well crafted ales. Our last stop in the tour is often Endeavor Brewing but will vary depending on the time of year. We may find ourselves at Wild Ohio Brewing, Zaftig, Parsons North or someplace new and off the beaten path. Throughout the tour we provide an overview of the history and techniques of brewing beer as we get a look into how these breweries and their owners handle questions of distribution, bottling, canning and scaling up production to meet the increasing demand for local craft beer in Columbus, Ohio and beyond. 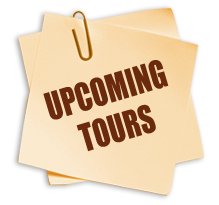 This tour lasts about 3.75 to 4 hours and is offered on Saturdays throughout the year. Transportation, samples and an experienced guide are all part of the experience.